In the spirit of ghost hunters everywhere, I give you the DarknessScan 2.0. It not only detects rising and falling light levels (and therefore red flags the presence of beings that thrive on darkness…hint, hint…ghosts) but tells the user about it with convenient LEDs. Love, Italian children’s space travel documentary style. Suppose you wake up one morning and want to change the face of popular music. With that kind of ambition, you won’t be satisfied just being popular or pandering to the buying public. You are going to tear the music world a new one. All your interests will be represented. Technology, mesmerizing stage shows, true love and the promise of a whole other universe, parallel to our own, whose rules we can only peripherally understand. You want to create a mythos to accompany your compositions. Parliament had the mothership. Zepplin had the hedgerow infested with bustles. Egyptian Lover had his house on the Nile. Bootsy had 14 carat funk, ya’ll. 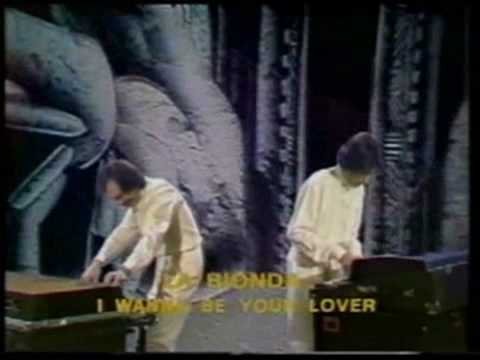 Similarly, the electronic duo La Bionda have whatever this is. Behold: “I wanna be your lover.” You had me at spaceship, guys. P.S. Yes those are a bunch of kids they are singing to.